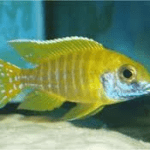 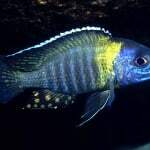 Additional Information: Beautiful example of a yellow and dark blue variant of peacock aulonocara cichlid. 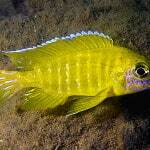 The male Sulfurhead Aulonocara has a very striking yellow head which often comes down a third of the face too. 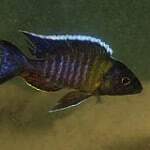 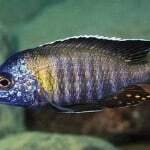 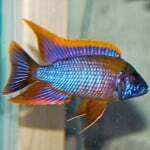 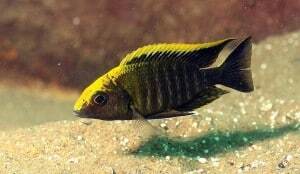 The Aulonocara Maylandi are found in the south African rift valley based lake Malawi, specifically between Eccles Reef and Makanjila Point. 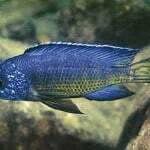 Many tropical fish sold in the United States are harvested from the wild in Africa, Asia, and Central and South America.